In contrast to the common perception that the United Nations is, or should become, a system of collective security, this paper advances the proposition that the UN Security Council embodies a necessarily selective approach. Analysis of its record since 1945 suggests that the Council cannot address all security threats effectively. The reasons for this include not only the veto power of the five permanent members, but also the selectivity of all UN member states: their unwillingness to provide forces for peacekeeping or other purposes except on a case-by-case basis, and their reluctance to involve the Council in certain conflicts to which they are parties, or which they perceive as distant, complex and resistant to outside involvement. The Council’s selectivity is generally seen as a problem, even a threat to its legitimacy. Yet selectivity, which is rooted in prudence and in the UN Charter itself, has some virtues. 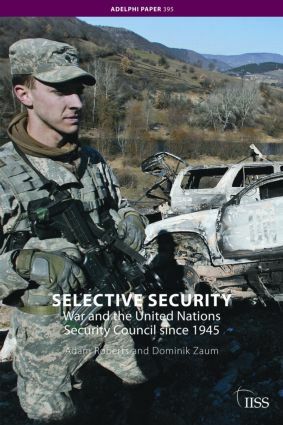 Acknowledging the necessary limitations within which the Security Council operates, this paper evaluates the Council’s achievements in tackling the problem of war since 1945. In doing so, it sheds light on the division of labour among the Council, regional security bodies and states, and offers a pioneering contribution to public and governmental understanding of the UN’s past, present and future roles.